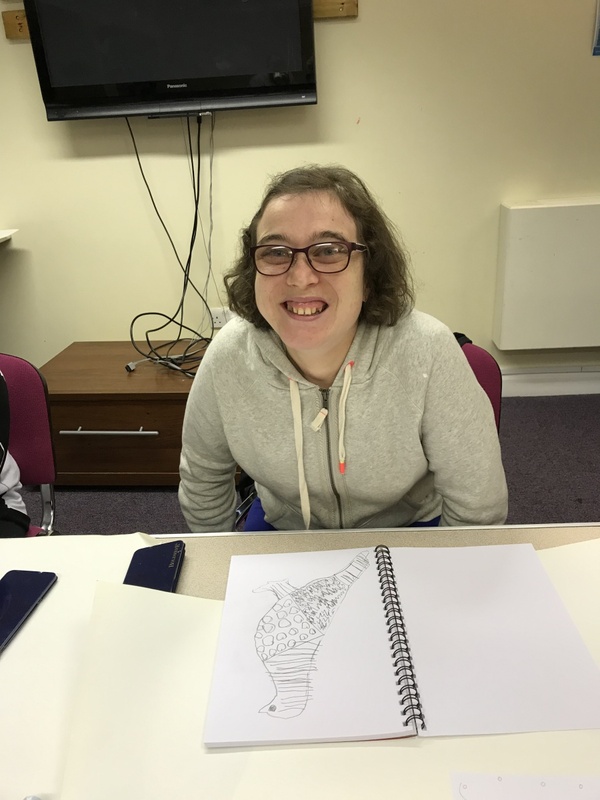 Some of our intrepid artists at Cabrini House, Diagrama's home for adults with learning disabilities in Orpington, have been turning their hand to a new style of therapeutic drawing called Zentangle art. 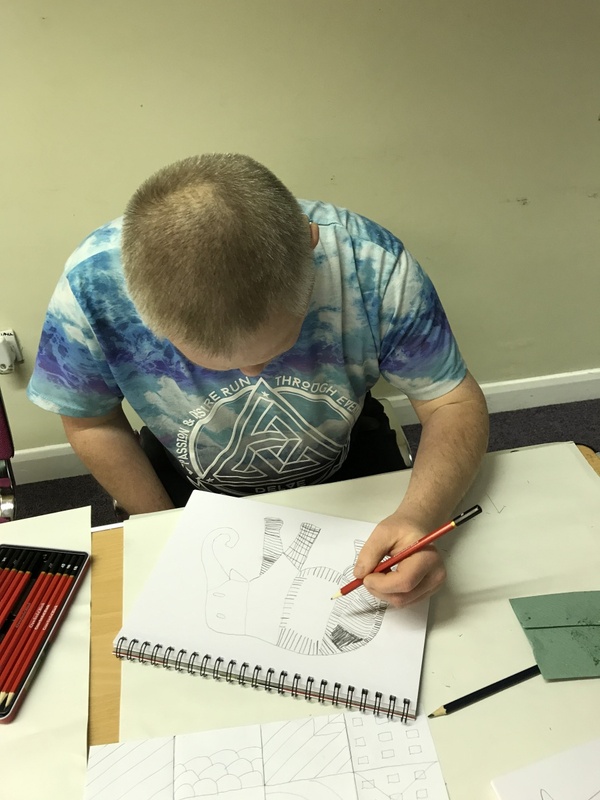 Zentangle is created with repetitive abstract patterns and is an easy and relaxing way for our residents to engage with art. 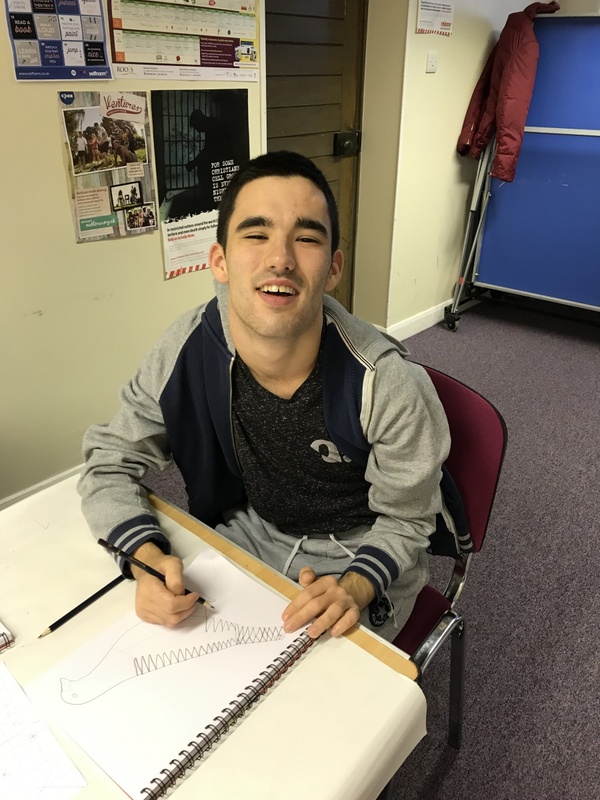 The method involves creating tangles with combinations of dots, lines, simple curves, curves and orbs and is believed to have a positive influence on creativity, self-image, focus and problem solving. 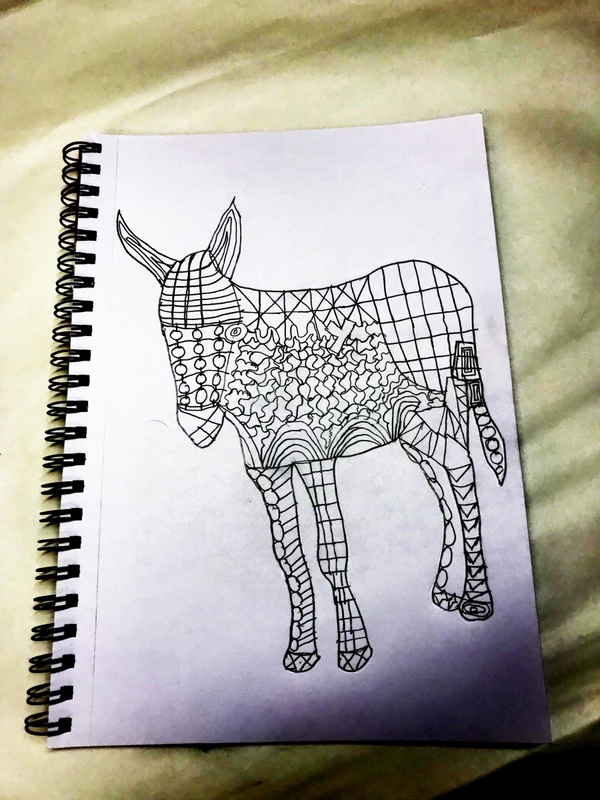 Founder Maria Thomas is said to have discovered better wellbeing and complete focus when working on Zentangle patterns. Other benefits are thought to be relaxation, behaviour modification and anger managerment as well as improving eye/hand co-ordination. 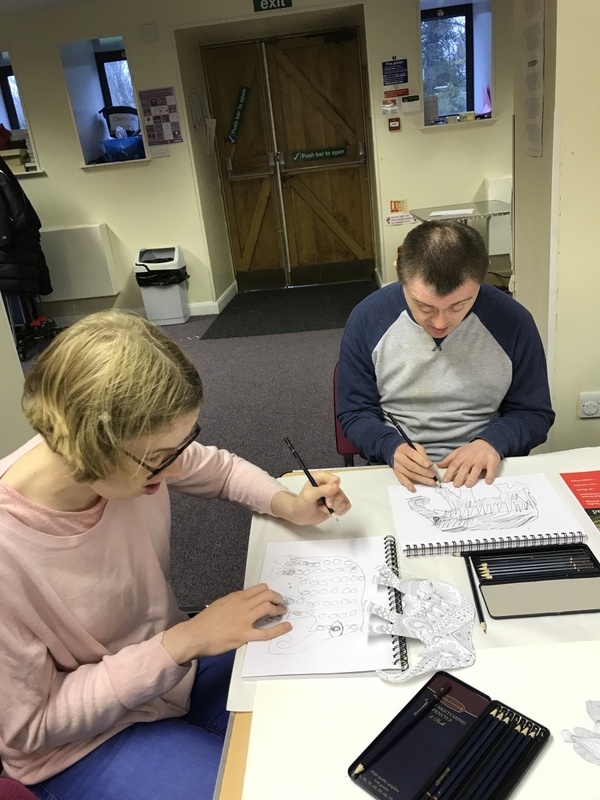 Residential manager Michelle Dyne said: "It was brilliant to see everyone working so hard on individual interpretations of their own Zentangle patterns - which kept everyone completely captivated!"